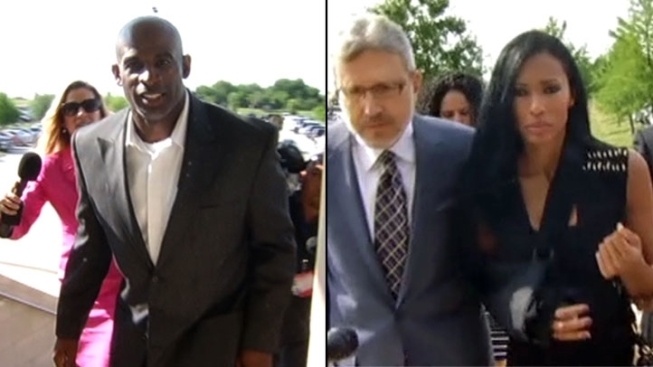 The drama surrounding the divorce between former Dallas Cowboys cornerback Deion Sanders and his wife Pilar continued in a Collin County courtroom Thursday morning, and likely won't end anytime soon. 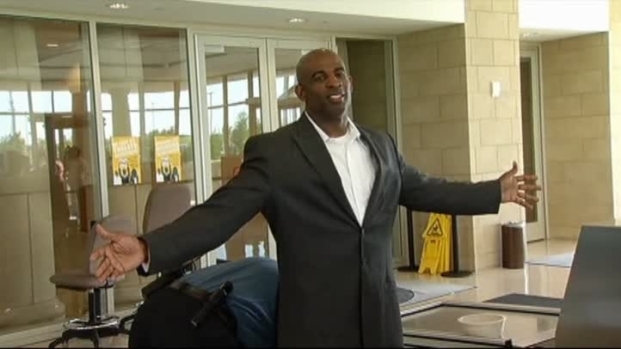 Deion arrived Thursday telling the media, "I want you to report it when you see it, like it's the Super Bowl." The former NFL star and his wife then settled into their seats at about 9:30 a.m. while lawyers for both sides talked quietly with the judge before the hearing began. Deion's attorney Rick Robertson claims Pilar is not fit to have custody of the children and that she has physically abused the children by hitting them with a belt and her fists. He said Deion is actively involved in their lives and is seeking custody of the children as well as exclusive use of the home in Prosper and all property. 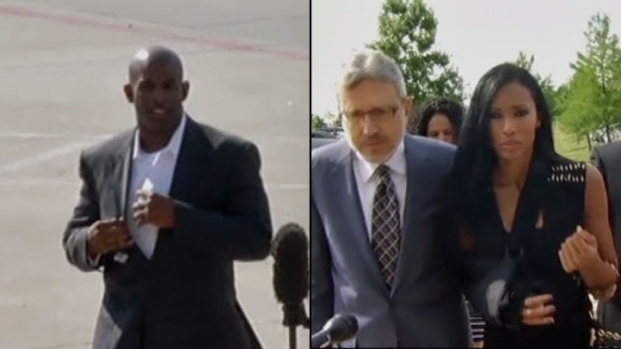 The former NFL star Deion Sanders and his estranged wife Pilar Sanders were in a Collin County court Thursday for a hearing in their divorce case. Both want custody of their three children. Allegations of cheating, allegations of assault and talk of the divorce's impact on their children were laid out for the public to hear. Pilar's attorney, Larry Friedman, said Deion has split personalities, where he is sometimes Deion and sometimes Prime Time, and that he has been an absentee father and husband who cheats on his wife. He went on to say her recent arrest following accusations she attacked her husband are "a complete setup." Pilar has asked for custody of the children and $200 million in their divorce settlement. With at least nine attorneys between the couple and as many as 20 witnesses expected to testify, the hearing is expected to last into next week. Outside of court, Deion said all of this was about money. The drama surrounding the divorce of Deion and Pilar Sanders will be played out Thursday in a Collin County courtroom. NBC 5's Randy McIlwain, Justin Hinton and Ben Russell, as well as the Associated Press, contributed to this report.